6’x2′ – Printing Outdoor Banners for Advertising at an Outdoor Venue. If your business or organization is planning to attend an outdoor exposition or trade show, make sure your outdoor banners are full color, professionally designed and large enough to attract attention. If you have a tent at the event, festival or trade show, you may need to cover the tent with full color outdoor banners all around so that your potential clients can see you’re there and what your message is. Tents tend to block the view so it’s a good idea to consider a little more creative. Our outdoor banners are printed in full color so you can take advantage of the new printing technology that allows you to use any graphic design you want. 6’x3′ – Weatherproof Outdoor Banners with Grommets and Hems. 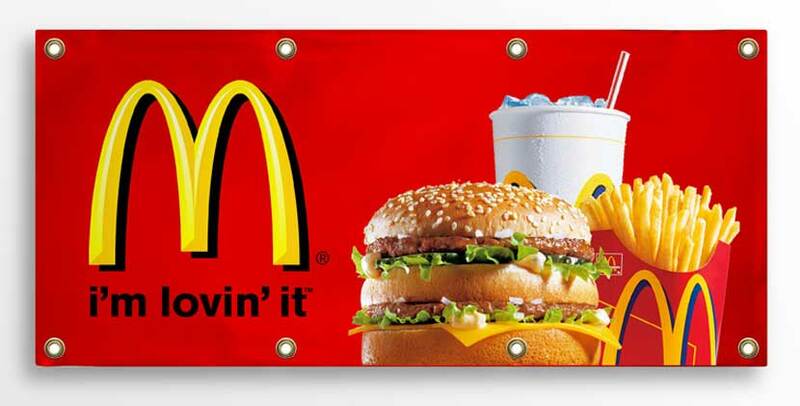 Grommets on outdoor banners are used for hanging. 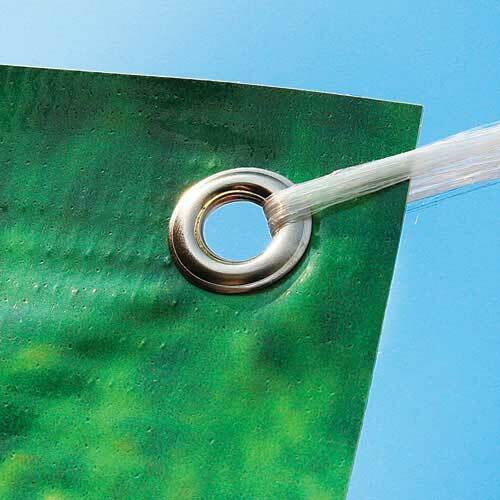 All of our outdoor banners come with grommets free of charge. The hems are optional for two or all four size for extra endurance. Our 13oz. Scrim Vinyl Outdoor Banners are weatherproof so you can be sure they will last long. The vinyl material that is used in production of our outdoor banners is designed as weatherproof. 6’x4′ – You Can Use Any Graphic Design and Photo Quality Images On Our Outdoor Banners. We’re aware that the graphic design and colors are the most important elements on the outdoor banners that will draw attention. The technology that is used in printing our outdoor banners is the most advanced on the market today. We can print outdoor banners with any graphic design in full color. Also we can print photo quality images on your outdoor banners and turn your banner advertising to a great campaign.